The CSPU solar power generating system consists of four key elements – the solar Brayton-cycle power conversion gas turbine engine, a customized high temperature receiver, and a hybrid solar collector and a High-Performance Metal Hydride-Based Thermal Energy Battery Storage System Technology , which is an inexpensive way to store solar energy for many days, that help make solar energy cost competitive with fossil fuels. CSPU is in a position to be better than traditional fossil fuel energy and generate power pollution free. The Heliostats capture Suns light energy (heat) to the Solar Power Tower. These Heliostat Mirrors concentrate the solar energy to a focus point on the solar engine, that transforms the kinetic energy into electricity engine. The Company is also developing a proprietary energy storage system, known as Metal Hydride Thermal Storage. An inexpensive way to store solar energy that makes this renewable energy source cost competitive with fossil fuels. The metal-hydride chemical-energy storage system will be used to “close the energy loop.” It will store enough energy in full sunlight to ensure power availability to the user at night and in cloudy conditions. CSPU will be using tracking Heliostat Mirrors solar collectors to collect solar radiation to raise a transport fluid temperature to roughly 980 degrees C. This transport fluid will take heat energy to the Brayton unit for conversion to electricity. When excess heat is available, for example, between 11 AM and 1 PM on a sunny day, some transport fluid will be diverted to carry this energy from the solar receiver to a storage device containing the metal hydride. This heat energy will heat the metal hydride driving off the hydrogen. This hydrogen is then stored at medium pressure at a safe location. When heat is needed to run the Brayton unit during off hours, hydrogen can recombine with the metal in the metal hydride in a reaction that is highly exothermic. The exothermic reaction heats the transport fluid which, in turn carries heat to the Brayton unit. High-performance metal hydride-based thermal energy storage technology for concentrating solar power. Examples of metal hydrides include Lithium Hydride and Lithium Aluminum Hydride. The most desirable metal hydrides are those with high negative heats of formation per unit volume (liter) of storage. Metal-hydrogen systems are non-corrosive and they can undergo indefinite cycling with no chemical degradation. The Metal Hydride Thermal Storage system uses a controlled dissociation pressure, it is a reversible dissociation system that is regenerative. Substantially releasing heat - thermal energy. Storage volume of the metal-hydride system will be tailored for each application with larger volumes needed in areas where heat for several days of operation may be needed. Smaller volumes would close the loop between day and night. This system is designed to store the heat after sunset, to ensure energy availability for engine operation. A hot liquid can be stored more efficiently than electricity; the analogy used by one industry executive is that a $5 thermos can hold as much energy in the form of heat as a $150 laptop battery can store electrochemically. The Metal Hydride Thermal Storage system can provide load-following power on-demand on a 24/7 basis. The Metal Hydride Thermal Storage can store energy for more than 100 years and has no degradation. The electricity produced from the sun during the day can now be delivered in accordance with demand. This thermal energy storage technology intensifies the storage of heat by more than ten times compared to latent and sensible heat storage technologies. “This is a game changing technology for the concentrated solar power sector that will drastically reduce its cost and improve its performance.” - Dr. Ragaiy Zidan, Advisory Scientist, Savannah River National Laboratory and inventor of the technology. Solar radiation presents a boundless opportunity for energy conversion. The energy density on a clear day is approximately 1000 watts per square meter. The challenge with solar-electric conversion technologies is capturing this energy at a competitive cost. High efficiency cycles promises to dramatically reduce the equipment cost per Kilowatt from present levels. CSPU technology takes advantage of concentrated solar thermal power, creating super-hot temperatures that help produce the maximum amount of heat that can be transformed into electrical energy. High temperature solar concentrating collectors allow concentrated solar radiation to heat a receiver which is designed to absorb the concentrated solar radiation and to transfer as much energy as possible to a heat transfer fluid. This hot fluid, in turn, powers a Brayton cycle turbine electric generator. This state-of-the-art Brayton cycle generator draws from well-understood technology in use for many years. 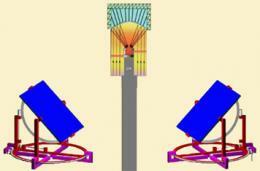 However, CSPU would be among the first to incorporate Brayton technology with high temperature solar collectors. The Company’s solar energy conversion system also includes a thermal storage unit. The storage unit uses chemical components capable of storing enough excess energy during sunlight hours to ensure energy availability for operating the engines during periods when sunlight is not present. The combination of these technologies represents innovative energy production and storage strategies that will apply to several global energy markets, improving existing projects and enabling more efficient new ones. "Tom Kay (founder of CSPU), explains that the company is now working on a solar powered micro turbine engine prototype that will be tested in Arizona in partnership with another company there. The solar micro turbine is highly efficient, with as much as 33% of the sun’s energy converted to usable AC power compared to 10-20% for PV and CSP installations. Concentrating Solar Power Utility believes that its family of concentrating solar power systems will significantly reduce energy costs and provide cost-competitive methods of producing green electricity. CSPU is led by a management team of seasoned executives and solar experts and supported by advisors and independent contractors with specialized expertise. Set forth below is a brief description of the background of the executive officers and directors of the Company based on information provided by them. CEO - GERALD HABIB - B. ChE, Chemical Engineering, Mr. Habib is a seasoned executive who has many years of experience in managing technology-based projects and in developing new businesses. He has been COO of a $20+ million specialized hazardous waste company with over 100 employees. Trans-Cycle Industries and TCI, Inc, a privately held environmental services company. Mr. Habib has been a Director of three public companies, including a $100 million independent power producer and solar energy company. Most recently, he had been the Chief Operating Officer of TCI Companies until its sale to a strategic acquirer. Earlier, he had been Director of Worldwide Planning and Business Development for a $1 billion specialty chemicals division of NL Chemicals. His operational and technical experience, spanning over 30 years, is highlighted by the ability to take technology and products to market utilizing internal sales and marketing, licensing, business development partnering, joint venture formation, and mergers and acquisitions in the areas of process engineering and sales of chemicals, polymers and related industrial products. – Vice President, Business Development, NL Industries: – Director of Worldwide Planning and Business Development, Olin Corporation: – Business Manager, Scientific Design/Halcon: – Process Engineer. Education: New York University-Leonard N. Stern School of Business: – MBA, Corporate Finance, City University of New York City College: – B.Ch.E., Chemical Engineering. CHIEF TECHNOLOGY OFFICER - THOMAS P. KAY, the founder of Concentrating Solar Power Utility (CSPU), is a solar old timer who once worked for ExxonMobil back in the 1970’s as a solar consultant, at the age of 22. Thomas P. Kay got his first Solar Patent when he was 24 years old, "Solar Collector Panel and Refrigeration System" At 16 Mr. Kay started his first solar company, TK Solar Distributors in 1970. He marketed hundreds of his solar files to Fortune 500 companies on microfiche/microfilm. He was responsible for installing the first ExxonMobil/Daystar solar hot water heaters in New York State. Thereafter, he became a solar energy consultant to ExxonMobil Enterprises the venture capital arm of ExxonMobil. After working for ExxonMobil, he opened “The Solar Store” in Mastic, Long Island, NY, the first retail outlet in the country that sold every type of solar product available at the time. Products sold were solar photovoltaic panels, solar hot water heaters, solar cookers, solar watches and calculators, solar pool heating panels and books. 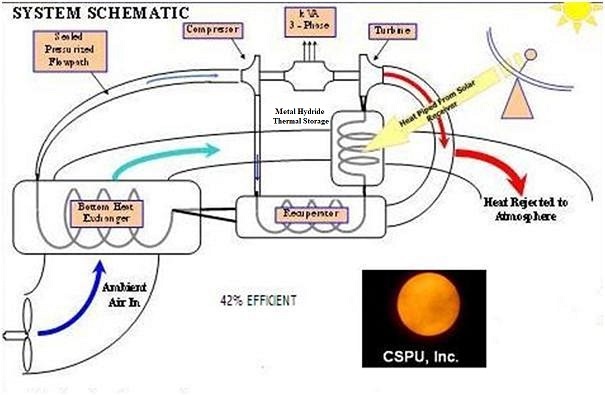 CSPU is the culmination of Thomas P. Kay’s lifetime commitment to the advancement of renewable energy to help humanity by developing the world’s most efficient MHD electric technology. CHIEF SCIENCE AND ENGINEERING OFFICER - PROFESSOR DOUGLAS B. CHRISEY, Professor of Physics and Engineering Physics, Professor of Biomedical Engineering, Cornelia and Arthur L. Jung Chair in Materials Engineering, Tulane University, New Orleans. Adjunct Professor of Materials Science, Rensselaer Polytechnic Institute. Prof. Chrisey has more than 400 peer-reviewed publications and 20 patents and has been honored with the Endowed Jung Chair of Materials Engineering within the Physics and Engineering Physics Dept. at Tulane University. Doug began his stellar engineering and academic career when he earned a B.S. in Physics from the State University of New York At Binghamton in 1983 and later a Ph.D. in Engineering Physics from the University of Virginia in 1987. He spent the next 17 years at the Naval Research Laboratory as the Head of the Laser Processing Section. After spending 1 year as the Deputy Director at the North Dakota State University Center for Nanoscale Science and Engineering, Doug joined Rensselaer Polytechnic Institute as a Full Professor of Materials Science and Biomedical Engineering. Currently, Doug is teaching and performing research at Tulane University and is the Jung Chair of Materials Engineering in the Department of Physics and Engineering Physics with Adjunct appointments in the Biomedical Engineering Department at Tulane and at Rensselaer Polytechnic Institute’s Material Science Department. Doug is well known to the world of science and engineering with more than 400 citable publications and over 11,000 citations and an h-index value of 52. He has edited or co-edited 15 books and has 20 patents. He also serves as a Scientific Advisor to Nanotherapeutics, Science and Engineering Officer at MSI Limited, the Chief Technology Officer for Nano Solutions, and is President of Omni-Metrics. Doug’s research interests are wide ranging and include the novel laser fabrication of thin films and coatings of advanced materials for electronics, sensors, biomaterials, and for energy storage. Doug is world renown and is considered one of the pioneers in the field of Pulsed Laser Deposition and was the lead inventor of MAPLE processing technique (matrix assisted pulsed laser evaporation). He is currently publishing in areas of metallic nanoparticle fabrication, biosensing, bio-nanotechnology, tissue engineering, stem cell processing, ceramics, and poly-morphism. "Over his career, Prof. Chrisey has been the recipient of many multi-year and multi-million-dollar gov't research contracts mostly from the DoD and NSF, but also industry sponsors too."